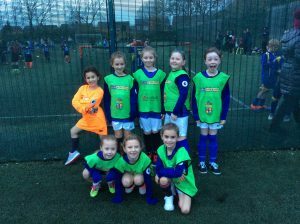 Yesterday evening, our amazing year three and four footballers took part in their first competition. Eight girls and boys stepped on to the astroturf ready to represent the school and they did this magnificently. The boys team, who faced very tough opposition, battled hard and worked amazingly as a team to finish in 6th place. The girls team, who started slowly, grew in confidence and won four straight game sin a row to finish third and secure their place in the next round of the competition. On a cold night, the children all performed excellently and we are very proud of their efforts.